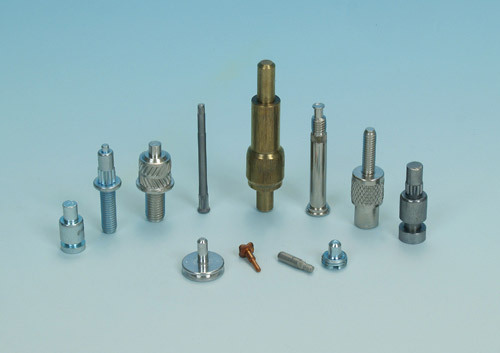 Skach Manufacturing Company uses the manufacturing process of roll forming to thread roll, tap, groove, knurl, point, and shape cold formed parts. This secondary process can be performed on our cold formed blanks from a wide variety of metals. High-speed rolling machines (thread rollers) can shape parts with little or no material waste. This process is a cost effective alternative to metal removal operations such as shaving and trimming. This equipment is designed for high volume production, but should you require a prototype or a preproduction run, Skach has the capability to meet your needs. We are ISO 9001:2008 certified and conform to ASME and IFI standards. 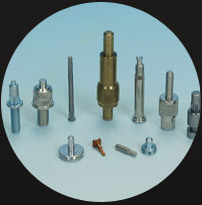 Come to a company that can deliver quality parts at a competitive price. Contact us directly to learn more about Skach or to request a quote. Part Diameters up to .900"
Part Length up to 2.5"